Helsinki is a city with a variety of identities. 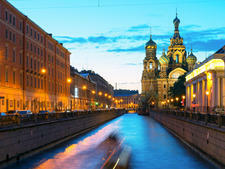 Maybe it's the Russian influence (St. Petersburg is a quick train ride away). Maybe it's the strong appreciation of contemporary design -- the capital of Finland is home to Marimekko, world-renowned for its boldly patterned textiles; Kalevala, known for distinctive bronze and silver jewelry; and Iittala, known for glassware. The city also might be associated with the dark, cold and snowy winters that last half the year (fortunately, this is not the season for cruising). Helsinki embraces a bit of oddball fun, too. One annual festival features the tossing of Finnish-made Nokia cellphones, and another popular mainstay is a wife-carrying competition. Finland differs from Nordic neighbors like Sweden and Norway because of its near-inexplicable language. (It originated as an oral language, rather than a written one, so it's very difficult to follow; Swedish is also widely spoken.) The country itself is one of Europe's newest; independence from Russia was achieved in 1917 following the Bolshevik Revolution. 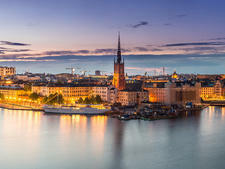 Helsinki was founded in 1550 by Swedish King Gustav Vasa and offers monuments such as the Lutheran Cathedral (Lutheranism is one of the national religions), the onion-domed Uspenski Cathedral (Eastern Orthodox) and the neo-classical buildings in and around Senate Square. The city also features Kiasma, the avant-garde Museum of Contemporary Art, and the Design Museum. 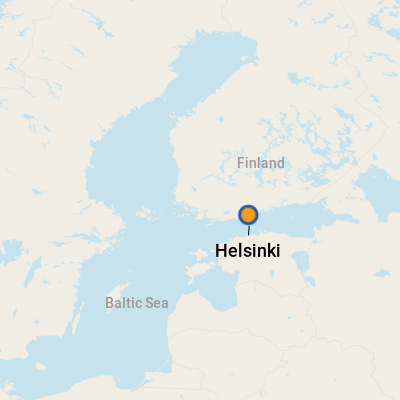 Helsinki's other major plus is that it's bounded on three sides by the Baltic Sea. In summer, the city's waterfront is the liveliest place in Finland -- whether you're soaking up the sun at a cafe, riding the ferry to the island housing the Suomenlinna Sea Fortress, or taking a boat tour of surrounding waterways. There are two harbors in Helsinki. South Harbour is right in the center of the city, where ships tie up opposite the Presidential Palace. There is room for three ships (on Olympia Quay and Pakkahuone Quay) around this pretty, natural bay. Located outside the city, West Harbour has been created for larger ships. Melkki Quay is located at the south end of West Harbour, 15 minutes by taxi to the city center. Katajanokka Quay is located slightly closer (10 minutes by taxi). There is tourist information at both harbors and also money exchange, an ATM, luggage lockers, a trolley service and restaurants. It is easy to walk into the city center from South Harbour although taxis are usually available near the gate. There are taxis and also tram stops at West Harbour. Helsinki is a safe city where traditional Lutheran values mean that people have always looked after each other, but this does not mean the city is free of pickpockets. Take care of your money and your valuables in crowded places like the Market Hall or Market Square. 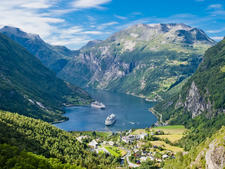 Cruise ships typically offer a shuttle (most charge about $5 to $10) from the ship, stopping at five locations between the Swedish Theatre and Market Square (at the harbor end of the Esplanade). Taxis also line up at the cruise ship terminal; a cab to Market Square or the Swedish Theatre will run about $15. The city is very walkable, and once downtown, you'll also find a good trolley system (there is no direct service from the pier). At the Swedish Theatre, you can catch hop-on, hop-off double-decker tourist buses that take you to the major sights (for about $25). These buses also operate from the harbors in peak season. The euro has been the currency of Finland since 1999. For currency conversion figures, visit www.oanda.com or www.xe.com. ATMs are located throughout the city center and around South Harbour. Finnish and Swedish are the two official languages of Helsinki, but you'll find most shop assistants and waitstaff in Helsinki speak English (the Finns find using English useful as the only language similar to theirs is Hungarian). A few Finnish phrases always help, of course. Helsinki has become a gourmet city in recent years with four Michelin-starred restaurants and very ambitious young restaurants snapping at their heels. You can eat cheaply at a Burger King or even have reindeer burgers at McDonald's, but it's worth spending a bit more to enjoy what this city has to offer. Restaurants tend to be small in Finland, so book ahead if you can. Ligon berries are a local specialty in Sweden and Norway. These tart red berries are picked in the wild and used to accompany a variety of dishes. You'll also find bowls of them available at breakfast time -- often eaten with yogurt -- if you stay at a Helsinki hotel. For a casual sandwich on the go, head for the indoor hall at Market Square. For Scandinavian-style gourmet lunching, Savoy (Etalaesplanadi 14; open 11:30 a.m. to 2:30 p.m. Monday to Friday) and Sundmans (Etelaranta 16;open 11 a.m. to 2:30 p.m. Monday to Friday) are good bets. Ravintola Teatteri (Pohjoisesplanadi 2; open from 11 a.m. daily) is a happening, bustling brasserie. If you dock at the South Harbour, you're within walking distance of Esplanadi where there are flagship stores of three great Finnish designers. You'll find the bright fabrics of Marimekko (Pohjoisesplanadi 33), the colorful glassware by Iittala (Pohjoisesplanadi 25) and the design classics of Alvar Aalto marketed at the shop he founded, Artek (Etelaesplanadi 18).